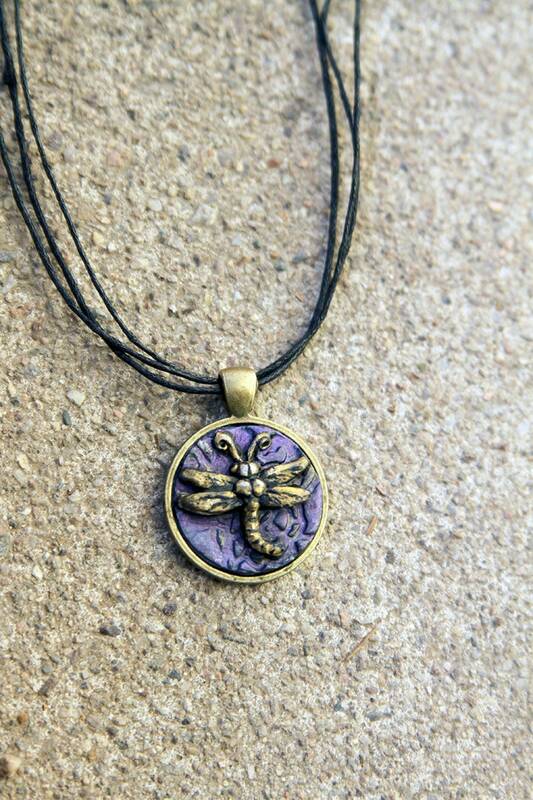 Cute dragonfly pendant necklace. 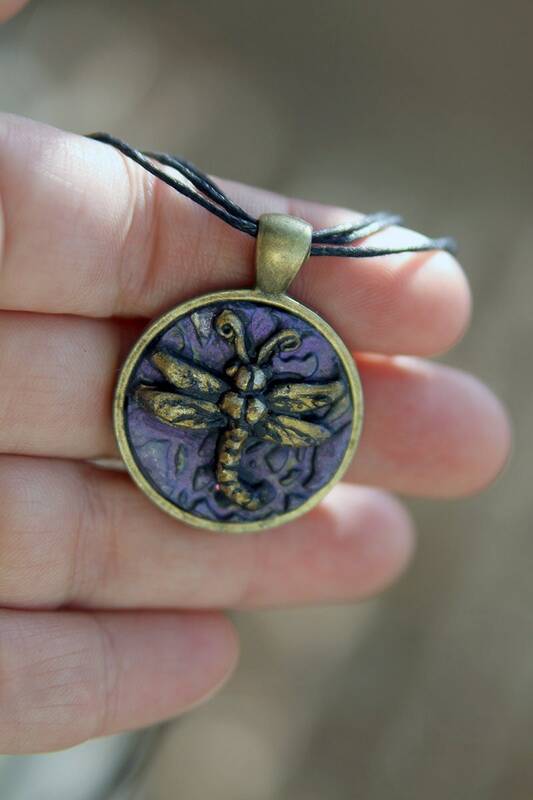 Cold cast resin hand painted with metallic colors. 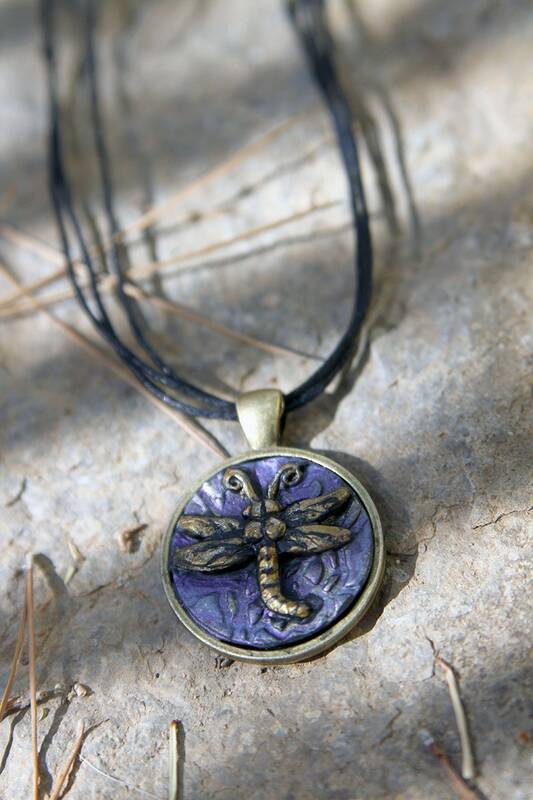 • Pendant measures approx 1" x 1"